Situated in a tiny village of Salatić on the Island of Krk, Apartment Čutul presents a back yard with grill amenities and free internet access access. The apartment presents an outdoors terrace with a garden view. Featuring a shower, the toilet also comes with free toiletries and towels. 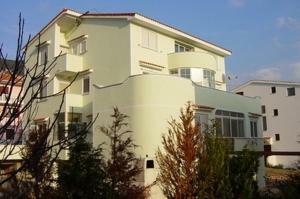 The property is 2 km from the closest dining establishment and 3 km from the marketplace located in the real heart of Krk. The local bus stop with lines to not far away towns can be reached within 20 metres. Apartment Čutul ~0.1 km, Krk price per day from € 38 Situated in a tiny village of Salatić on the island of Krk, Apartment Čutul presents a back yard with grill amenities and free internet access access. The apartment presents an outdoors terrace with a garden view. Featuring a shower, the toilet also comes with free toiletries and towels. 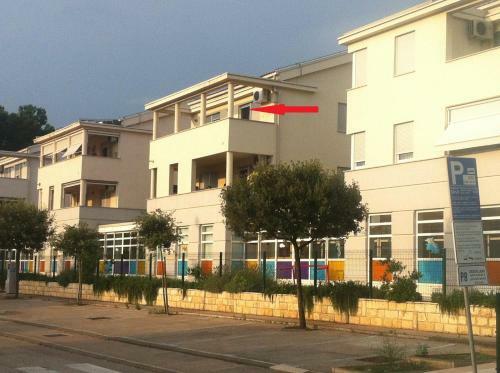 The property is 2 km from the closest dining establishment and 3 km from the marketplace located in the real heart of Krk. The local bus stop with lines to not far away towns can be reached within 20 metres. Skrbcici ( ~ 3.7 km ): 5+ apartments, , 2+ hotels. Pinezici ( ~ 4.9 km ): 21+ apartments. Kornic ( ~ 5.2 km ): 47+ accommodation units. Garica ( ~ 7.3 km ): 1+ villas/holiday houses. Gabonjin ( ~ 7.5 km ): 7+ accommodation units. Punat ( ~ 7.6 km ): 150+ apartments, 7+ villas, 2+ hotels. Beach Portapisana, Krk ~ 3,5 km from Apartment Čutul Gravel beach: ideal for families, recommended for young people, awarded with blue flag, with restaurant, with caffe bar, equipped with showers. Excellent choice of watersports. Beach Porporela, Krk ~ 3,5 km from Apartment Čutul Sandy beach: ideal for families, awarded with blue flag, with restaurant, with caffe bar, equipped with showers. Excellent choice of watersports. Beach Drazica, Krk ~ 3,6 km from Apartment Čutul Sandy beach: ideal for families, with restaurant, with caffe bar, equipped with showers. Excellent choice of watersports. Beach Plav, Krk ~ 3,6 km from Apartment Čutul Concrete beach: ideal for families, awarded with blue flag, with caffe bar. Excellent choice of watersports. Beach Jezevac ~ 3,7 km from Apartment Čutul Gravel beach: ideal for families, awarded with blue flag, with restaurant, with caffe bar. Excellent choice of watersports. Restaurant Torkul, Krk Island ~ 2,6 km from Apartment Čutul Address: Zagrebacka KRK, . Restaurant Agroturizam Dvori Sv. Jurja, Vrh ~ 1 km from Apartment Čutul Address: Bok Od Brozica 100, 51500, Vrh. Prices: 78 HRK - 230 HRK. Cuisine: Barbecue, Mediterranean cuisine, Croatian cuisine, Wine Bar.